Jenny Jen42: Holiday HEap THis Saturday!! 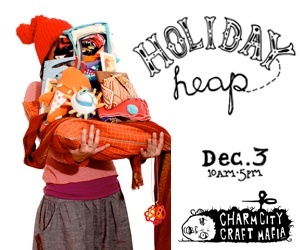 I hope to see lots of shoppers this Saturday at this year's Holiday Heap! If you have never been, you have no idea what you are missing out on! This show has never disappointed for people trying to find the most unique gifts! All diy vendors, all hand made! I included the map in case you wish to make your game plan early! 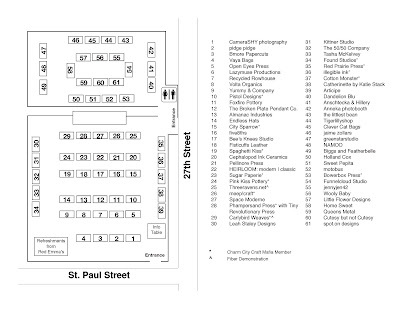 Notice, I"m in the back room, along with some really really awesome and amazing vendors, so DON'T SKIP THE BACK ROOM!!! SO that's this Saturday, Dec. 3, from 10 to 5. At St. John;s Church, which is on the corner of St. Paul and 26th. Streets! See You There! 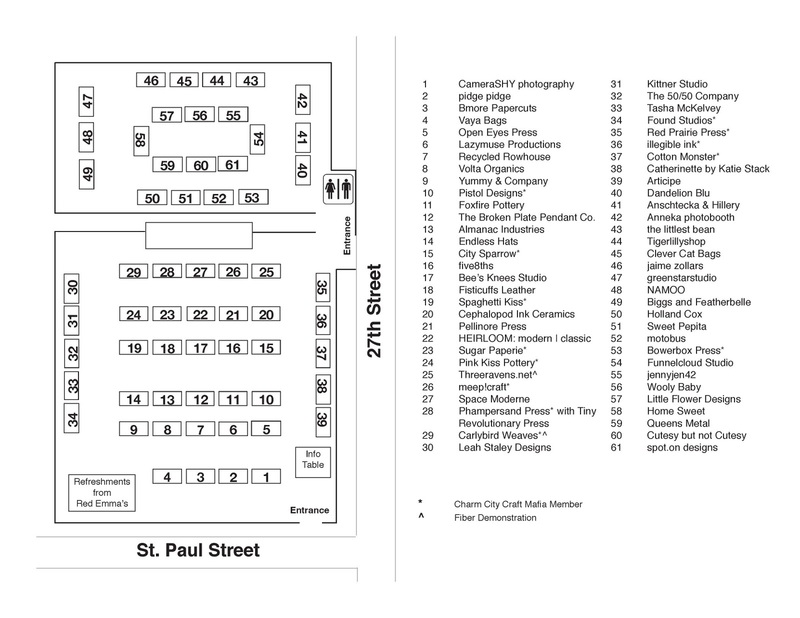 Labels:art, retro,craft charm city craft mafia, craft shows, diy, holiday, holiday heap.